Dear FAFICS members and associate members. The FAFICS president, Ms. Linda Saputelli, in her latest “update” dated 19 February 2018, posted on the FAFICS website (pdf attached) has doubled down on her misinformation campaign. You will recall that her update to FAFICS member associations dated 8 January 2018, contained a number of instances of distorted information, which I refuted in detail in my response of 14 January 2018 addressed to you. This new “update” begins with a renewed attempt to denigrate and discredit the UN participant representatives, mixed in with brief updates on other issues. While it stretches credulity that by now, anyone could take Ms. Saputelli’s rantings seriously, it is a fact that FAFICS has had some success in wielding power by its manipulation and control of the flow of information. Most important, there are a number of issues facing our Fund that require the good faith efforts of our retiree organization, of which Ms. Saputelli, however questionable her conduct, holds the office of president. A deeply disturbing issue contained in Ms. Saputelli’s 19 February update pertains to the membership of the Selection Committee for the Deputy Chief Executive Officer of the Fund Secretariat. This critical issue requires the immediate attention of the UN leadership and the Office of Internal Oversight Services in its conduct of the audit of the governance structure and checks and balances between the Pension Board and the Fund leadership, requested by paragraph 8 of General Assembly resolution 72/262, and now underway. In response to the audit, UN retirees are currently signing en masse a letter addressed to the Under-Secretary-General of OIOS, citing issues of non-transparency and undemocratic practices of FAFICS, and requesting that the audit consider recommending the direct election of our representatives to the Pension Board, as is the case for participant members (current UN staff) of the UN Joint Staff Pension Fund (a copy of the letter will be shared with you shortly). 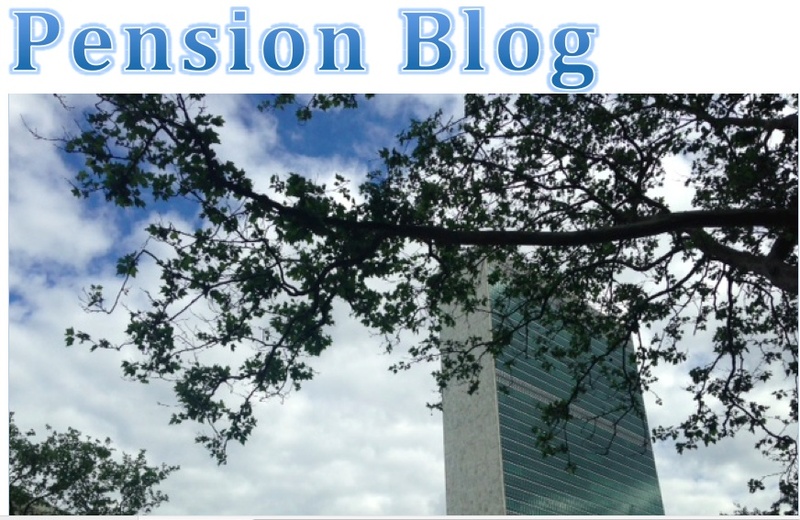 In her latest communication, Ms. Saputelli begins with a renewed attempt to malign and discredit the UN participant representatives and staff unions, in a chapeau of single-minded malice to brief reports on various issues –-of a meeting with the new Representative of the Secretary-General for investment; a meeting of the UN Staff Pension Committee; expected time frame of the OIOS governance audit; the Working Group on ASHI (After Service Health Insurance) including a worrying exploration of the “feasibility for UN retirees to be enrolled in national health insurance schemes”. In fact, the 30 January broadcast combines information on the contents of the GA resolution with relevant background information from ACABQ and other reports. And in stating that “As representatives of UN participants [and] having also represented the interests of retirees”, and pledging to work cooperatively with other Board members, the UN participant representatives are affirming the fact of the convergence of the interests of current and former staff in pension matters, not, as Ms. Saputelli alleges, “attempting to represent retirees”. That being said, it is also a fact that the UN participant representatives, by default, filled the vacuum left by the FAFICs leadership in its notable failures to properly represent the interests of retirees on the Board. In a letter dated 31 January 2018, addressed to the Chef de Cabinet and attached to her update, Ms. Saputelli doubles down on her allegations against the UN participant representatives and requests the Chef de Cabinet to take “corrective action . . . to the part of the Broadcast pertaining to retirees”. She also alleges, astonishingly, given the gross distortions in her 8 January “update”, that “facts …transmitted [in her update] were …rendered …barely recognizable by Mr. Richards”, thereby naming and singling out for calumny a single member of the UN participant group, all six of whom had signed the broadcast. Undoubtedly the practical impact of Ms. Saputelli’s ranting, in both of her “updates” is minimal. The reality is that her distortions are overridden by irrefutable facts contained in the reports of UN governing bodies and OIOS audits, as well as overtaken by events, including the OIOS governance audit currently underway. However, as ridiculous as her distortions may be, the fact is also that, whatever her conduct, Ms. Saputelli holds the office of FAFICS president, the purported representative of UN retirees. It’s no laughing matter that there are a number of serious issues related to the Fund that demand our attention. To name a few: the tenure of the new RSG for investments has recently begun and is yet to unfold; the leadership vacuum on the Secretariat side of the Fund has been exacerbated by the extended leave of the CEO, and the Deputy CEO’s upcoming retirement in August 2018; the need to continue to address the payment backlog and establish a client grievance mechanism; the 2017 actuarial valuation that was abandoned because of inaccurate date submitted by the Fund, with almost $300,000 paid out to consultants down the drain, has to be completed. The most disturbing information in the new “update” is in paragraph 8 of Ms. Saputelli’s update: membership of the Selection Committee for the Fund’s Deputy Chief Executive Officer. Here, Ms. Saputelli reports that she and another FAFICS member are members of the Committee. As if her membership were not disturbing enough, other members include the current Chair of the Pension Board, Annick Van Houtte, and the former Chair, Vladimir Yossifov. Both Ms. Van Houtte and Mr. Yossifov led the Pension Board in successive years in its failure to hold the Fund management accountable, while working strenuously to silence the UN participant representatives on matters of grave importance to the continuing health of our Fund. There is no indication in Ms. Saputelli’s record of leadership of FAFICS that indicates any ability to be transparent, fair or impartial, including in choosing new leadership for the Fund. The travesty here is that this in this matter that is integral to the OIOS review of checks and balances between the Board and the Fund Management; some of the same persons who are subjects of the review, are currently key participants in the conduct of the search for the Fund’s leadership. This is a very serious development that requires attention from both the UN leadership at the highest levels and OIOS in the conduct of the current audit, and by copy of this letter I am requesting their respective kind attention. issued their own version of the General Assembly resolution on the Pension Fund in a UN Broadcast on 30 January. In it they inaccurately claimed full credit for the contents of the resolution and stated at the end that they had represented retirees. I wrote to the Chef de Cabinet to remind her that FAFICS is the sole mandated representative of UN system retirees and informed her, inter alia, that if the President of CCISUA continued to misrepresent his mandate, FAFICS would insist on equal time to broadcast its views (letter to the CdC follows at the end). For your information, the resolution can be found on the Pension Fund website or by googlingUN GA Resolution 72/262. 3. On 13 February, I attended an extraordinary meeting of the UNSPC held in New York. The UNSPC usually meets twice a year to deal with disability cases. This year an extra meeting was added with specific emphasis on the agenda for the 2018 Pension Board. Both the RSG and Deputy CEO of the Fund provided an overview of their activities. In the end, time constraints did not permit completion of the agenda which was postponed until April. 4. The ALM Committee met for three days in New York from 14-16 April. Vice-Presidents Warren Sach and Marashetty Seenappa attended on behalf of FAFICS. Outcomes of the meeting were an agreed timetable and statement of work for the upcoming 2019 ALM study to be undertaken on the now established four-year cycle to ensure the long term sustainability of the Pension Fund. Follow up arrangements to the Independent Review of Investment Management (carried out by Deloitte) were agreed with the new RSG and the Investment Management Division so as to ensure that agreed necessary reform measures are undertaken promptly in 2018. The ALM Committee also reviewed the recently improved investment performance of the UNJSPF portfolio. February. As usual, this will be a closed meeting. On 19 and 20 March, the Audit Committee, on which FAFICS has representation, will meet in New York and we will report on outcomes of interest. to attend and observe Pension Board committees and other sessions. Auditors attended both the UNSPC on 13 February and also the ALM Committee meeting (over the objections of its Chair) last week. would be leaving after the upcoming Board session at the end of August. On 16 February, the first meeting of the Selection Committee for the position of DCEO was convened. There are eight members on it, two of whom are from FAFICS, Marco Breschi and myself. The Committee is chaired by Vladimir Yossifov, former Chair of the Pension Board and currently a member of the Governing Bodies group, with the Pension Board Chair, Annick Van Houtte, serving as Co-Chair. So far, the Vacancy Announcement has been approved and a timetable for going forward adopted. The Committee hopes to have the new recruit in place by September 2018. Having received the latest UN Broadcast dated 30 January from “The UN Staff Unions”, I am requesting that urgent corrective action be taken in reference to the part of the Broadcast pertaining to retirees. First, however, allow me to express that we were perplexed at seeing that although the stated sender of the Broadcast is “UN Staff Unions”, it was sent on behalf of and signed by “UN participant representatives to the Pension Board”. This clearly conflates the distinct and separate roles, positions and mandates of the UNSPC members with those of staff representative bodies. They should simply not be comingled in this way. claiming a mandate to represent retirees and that he should respect the limits of his role. We note that none of the Specialized Agency Participants’ Representatives attempt to assume or lay claim to representing retirees. They work closely with FAFICS member organization representatives on their respective SPCs, and respect both their own roles and those of the exofficio retiree representatives. FAFICS has not solicited, nor does it require Mr. Richards’ unwelcome involvement in attempting to represent retirees. representative of UN system retirees. Should Mr. Richards persist and continue to be permitted by the UN Administration to include misinformation about his mandate in official UN Broadcasts, FAFICS will request equal broadcast time to present its views and posit also that it represents staff. Thank you again for your always kind consideration and cooperation.